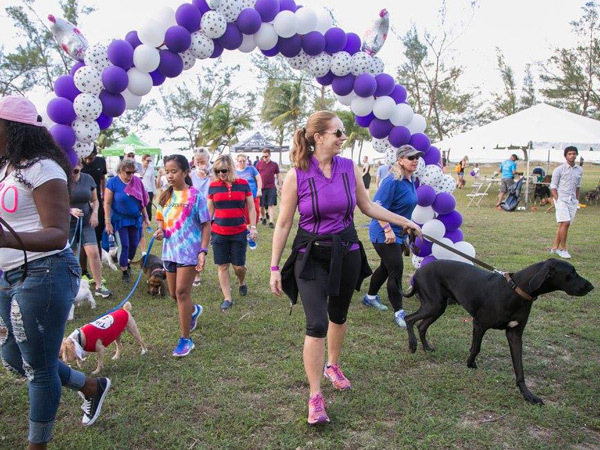 Having fun and raising money for a wonderful cause was the name of the game on Sunday December 11th Strut your Mutt Walk-A-Thon at Goodman’s Bay, for both two and fourlegged participants. 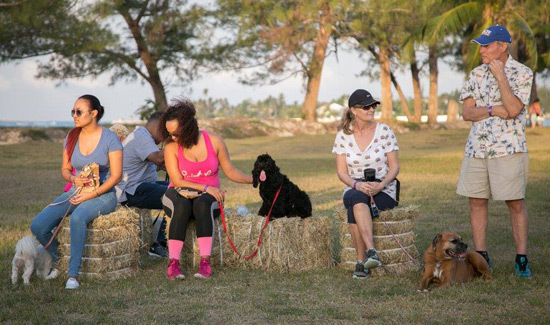 Just under 100 people and their dogs took part in the event helping to raise nearly $10,000 for Baark’s spay/neuter and education programs all over the Bahamas. 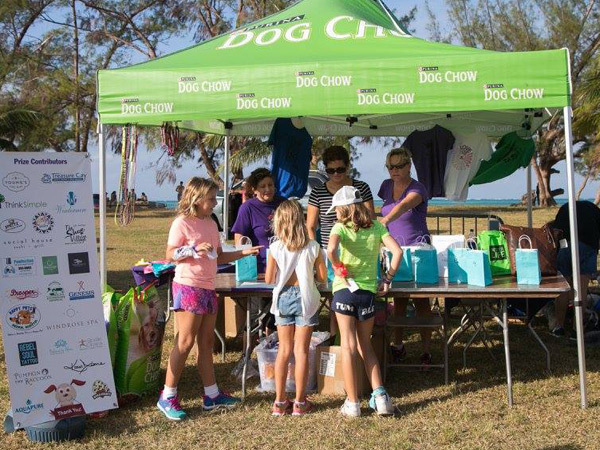 All ‘strutters’ received a ‘doggie bag’ filled with goodies including a delicious Ben and Jerry’s ice – cream and a refreshing Sands beverage whilst the four-legged walkers each received stylish doggie bandana’s. 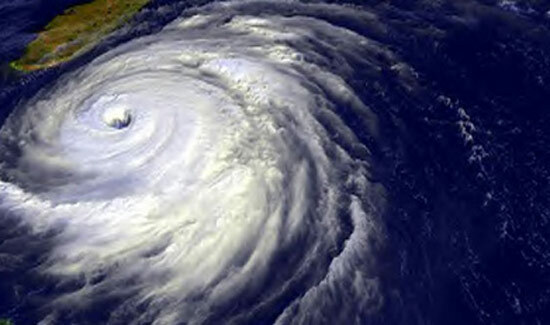 Once all the walkers returned Baark! presented several fun awards and accolades including ‘The Prettiest Potcake’ and ‘Dog Owner Look-A-Like’. 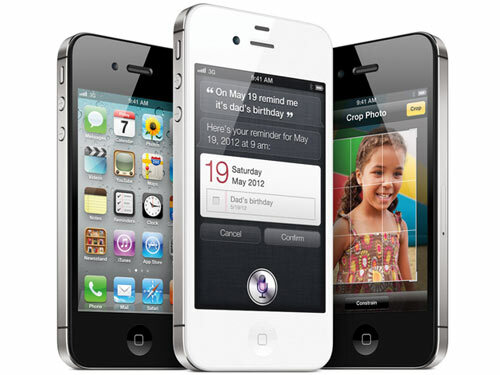 Participants had brought in sponsorship pledges to help raise money and the top five amounts were also given prizes including a 4-night stay from Treasure Cay Marina, Windermere Spa Package, Bottle of personalized Ellner Brut Champagne donated by Young’s Fine Wine and an iWatch donated by Think Simple. 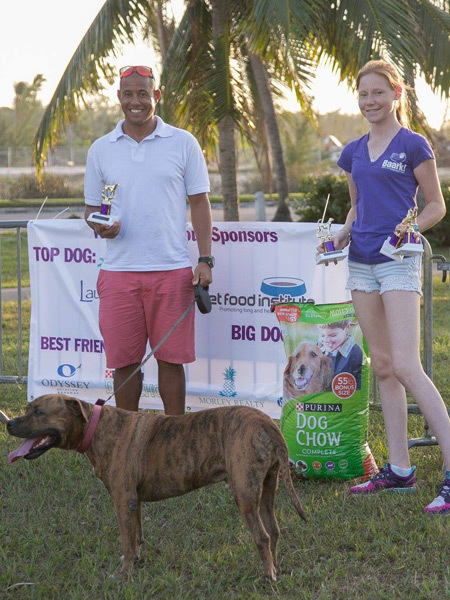 The event had three tiers of sponsors including ‘Top Dog’ sponsors Pet Food Institute and Laura Kimble Pet Friendly Real Estate, ‘Big Dog’ sponsor Palmdale Vet Clinic and ‘Best Friend’ sponsors Morley Realty, BWA’s Purina, Odyssey Aviation and Micronet. 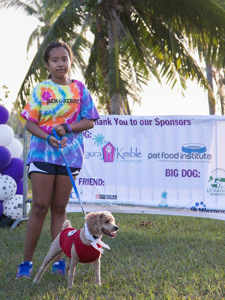 Sandra Kemp, spokesperson for Pet Food Institute said “This was our first time being involved with Strut your Mutt and we were so excited to see how well received the event was. We are proud to work alongside Baark! 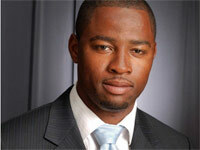 and support the important work they do in our community”. 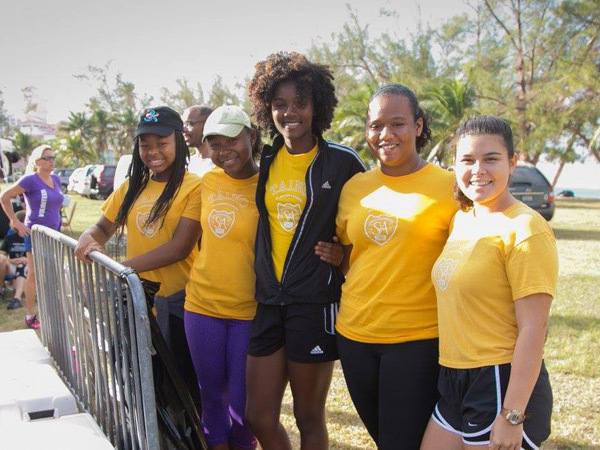 over 1600 free or subsidized spay and neuters not only in Nassau but the family islands including Andros and Exuma. 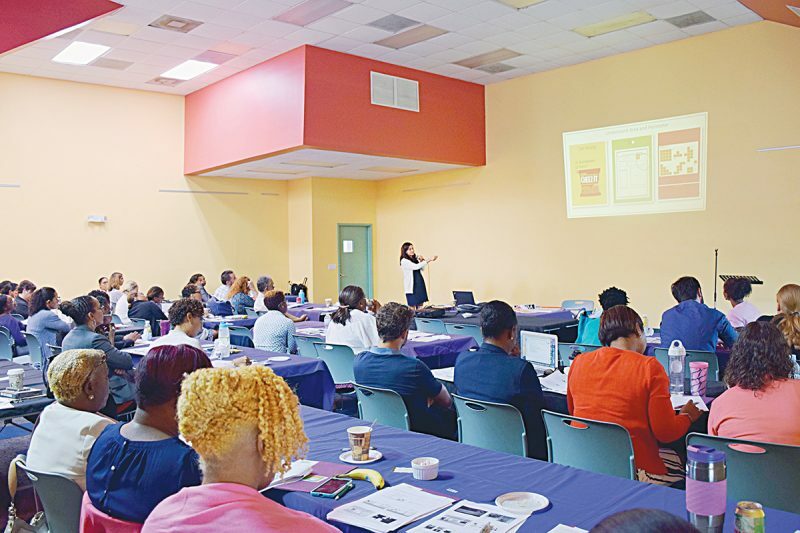 “Having your pet spayed or neutered is the healthiest option for your dog or cat but most importantly we have so many unwanted dogs and cats in The Bahamas and it is the only way to reduce the unnecessary cycle of suffering” said Palmdale Vets Dr. Val Grant. Baark! 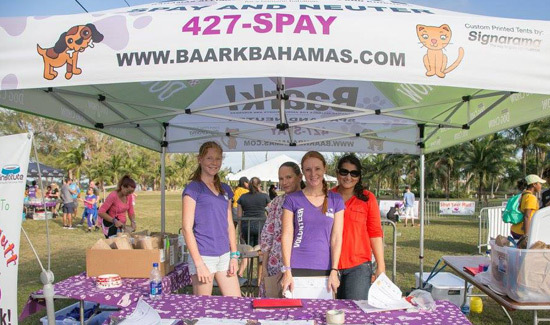 encourages all pet owners to spay/neuter both their dogs and cats. Baark! can help with financing or transportation for low income families. 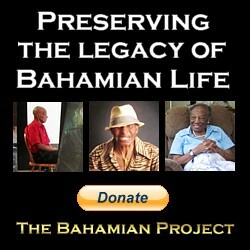 If you would like to learn more, volunteer or ask questions visit their website www.baarkbahamas.org or call 427-SPAY.